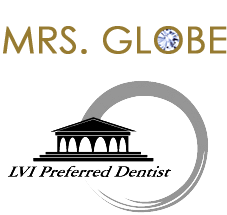 Dentistry with a comfortable environment, advanced dental skills, and compassionate care. Sedation dentistry is a wonderful solution for those who are fearful of a visit to the dentist. Dr. Zachary Hodgins is helping patients to enjoy better sleep, better health, and a better life! Those who value and take pride in their appearance have felt the difference a new smile has made in their lives. Enjoy better sleep, better health, and a better life! Going to the dentist has never been so comfortable! This Winter Park dentist is concerned with helping his Kissimmee, Lake Mary, Casselberry and Orlando dental patients to feel as good as they look. He provides ideal solutions for better systemic health, relief from chronic TMJ disorders, and treatment for sleep apnea (known as OSA.) Located near Orlando, Dentist Studio offers TMJ dentistry and other solutions to help you find relief from these conditions, as well as periodontal disease prevention and snoring treatment. Zachary Hodgins DDS, was trained at the prestigious Las Vegas Institute for Advanced Dental Studies (LVI), with intense, hands-on courses for the world’s top cosmetic dentists. He is passionate about the “art of dentistry” and how it can be used to better the lives of his patients. Members of our patient family often rave about Dr. Hodgins’s technical skill and the entire team’s gentle, caring approach to treatment. 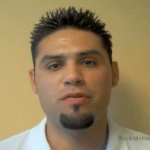 See our Video Testimonials; or learn how Sedation Dentistry, flat screen TVs, and plush comforts made their experience with our Orlando dentist in Winter Park, a dream come true! We welcome a visit from you and look forward to getting to know you personally. Call our dental office and ask us about the best options for Orlando cosmetic dentistry in Winter Park today.